Welcome to VTech Holiday Giveaway Basket, featuring one of our phone products and a variety of items to spruce up a child’s bedroom. What better way to celebrate the Holidays than with VTech products! The first thing that came to mind was how the design reminded me of the old rotary phones we use to have back in the day. This awesome phone has rotary style but yet keeping it modern with its digital aspects. How Cool!! 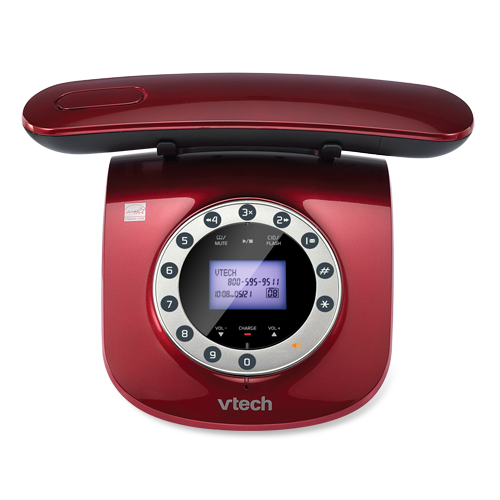 The VTech Retro phone comes in a variety of colors, giving it that added glare of glamor. This smooth phone is sure to add that elegant fashion to any area of your home or office. It even has an answering machine, cordless receiver, face down charging, caller ID/call waiting, rotary-inspired keypad, handset and base speaker phones plusECO mode power-conserving technology. WOW That’s COOL, but hold on, there’s more!! VTech just keeps getting better and better with their brand of phones. 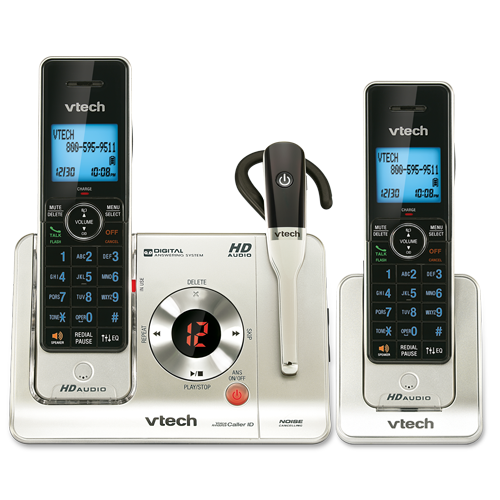 VTech 2 Handset Answering System with Cordless Headset. I’m excited about this one too, here’s why? I love that it has a cordless ear piece, this allows me to still be connected and multi-task all at once. The Blue LED light displays large numbers big enough too see who is calling. Great range and sound quality, keeps date and time and 50 incoming calls. The receiver is just the right size to fit in your hand without feeling bulky. The VTech 2 also has a walkie-talkie system, no screaming through the house anymore…MOM pick up the phone! LOL!! So this Holiday Season don’t hesitate if you are in need of some awesome phones that can handle your every calling need , just visit them today Here. Vtech is also doing a wonderful job by supporting Make A Wish!!! I received one or more of the products mentioned above from Vtech at no charge for review purposes only. All opinions expressed are 100% my own and were not influenced by any other source. I am disclosing this in accordance with the FTC. Originally published on 2012-11-19 by LISALISA at Night Helper .